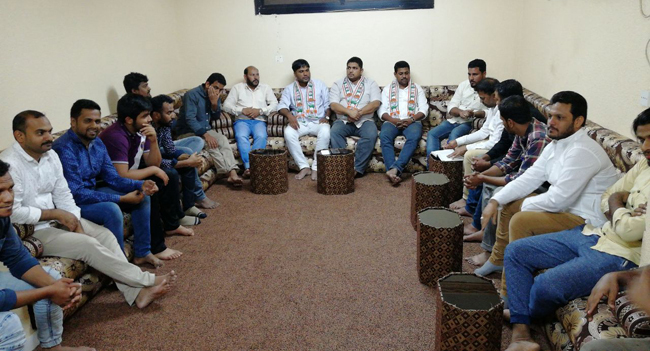 Riyadh/Saudi Arabia, 13 Apr 2018: The NRIs hailing from Mangaluru north constituency residing in Saudi Arabia convened a meeting of voters led by Secretary Harris Baikampady recently. Addressing the gathering, NRI wing president Ibrahim Kannangar said. ‘Although we are working in distant land, it’s our duty to cast our franchise by returning to hometowns during the elections. It’s also important to vote and also choose most suitable candidate,’ said Ibrahim. Harris urged the NRI voters to cast their valuable votes to Congress that would assure development in Karnataka and Mangaluru north legislative assembly constituency.